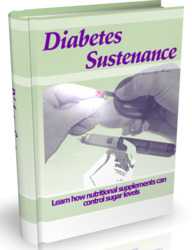 When diabetes is controlled, the risk of complications decreases. For example, for every 1% decrease in HbA1c, there is a corresponding 40% decrease in the risk of microvascular complications. Similarly, for every 10-mm Hg drop in blood pressure, there is a 12% reduced risk of cardiovascular and microvascular complications; controlling LDL cholesterol reduces risks of large-vessel disease even further (20%-50%). Appropriate eye and foot programs (e.g., laser therapy, podiatry monitoring) can reduce the risk of loss of vision or amputation by 50% or more.